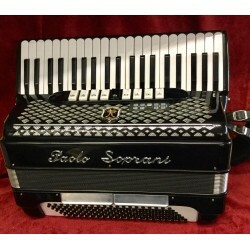 A good quality full size piano accordion made in Italy by the worlds most famous Italian accordion manufacturer. 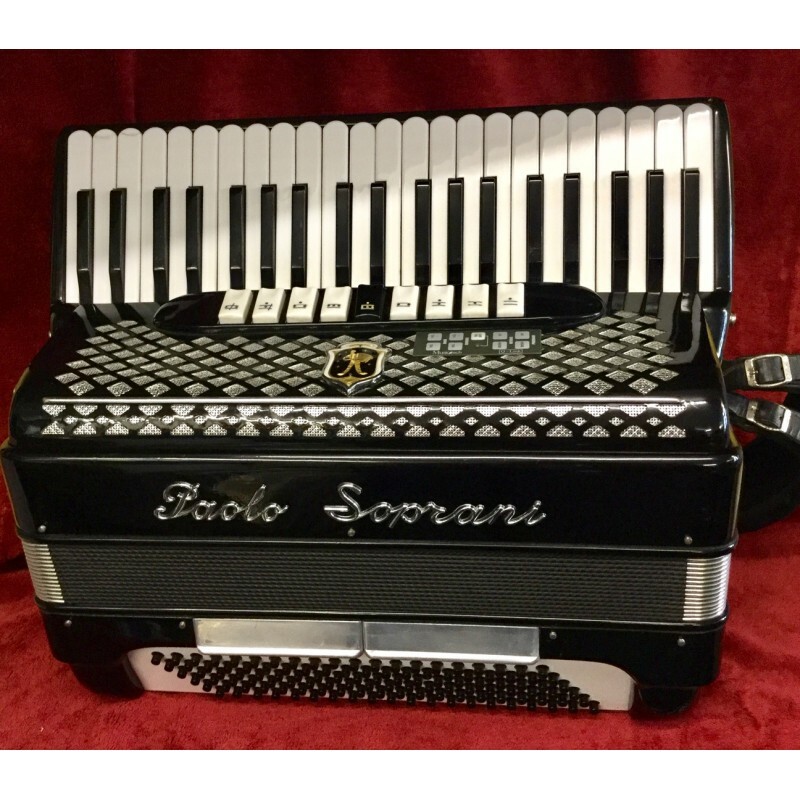 This one has a Mesictech midi system fitted and is a nicely tuned traditional Scottish musette ideal for all types of music. 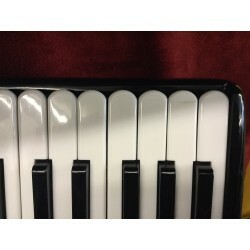 Reed layout is LMMM. 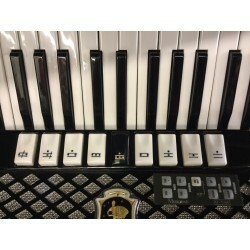 These accordions have a really solid reputation worldwide and have a good action full size 41 key keyboard, well designed grille, 120 bass and 4 sets of quality Italian reeds. 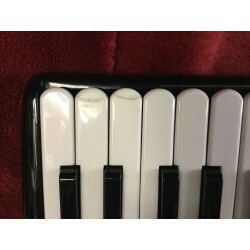 It does have the usual signs of use and 3 cracked/ repaired key tip but this is a nice example of of a well respected model built in the 1970s before economics and profit became more important than quality, so grab it while you can. Tuning, valves and bellows compression all good.